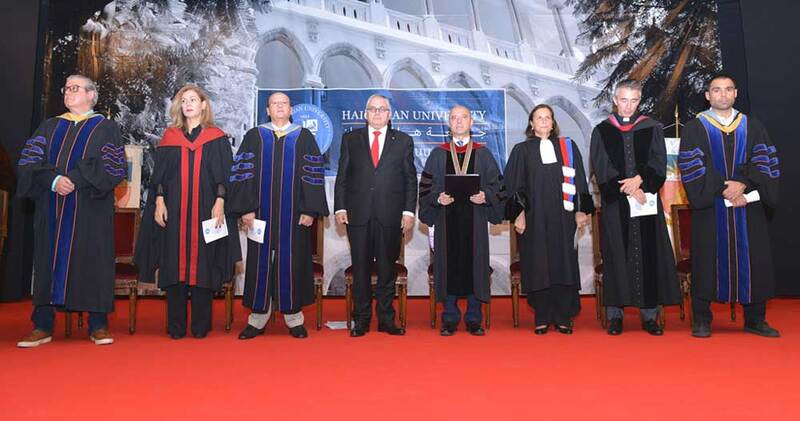 Haigazian University celebrated its 63rd Founders’ Day, officially kicking off the academic year, in the presence of officials, religious leaders, members of the Board of Trustees, staff, faculty, students and Haigazian community. 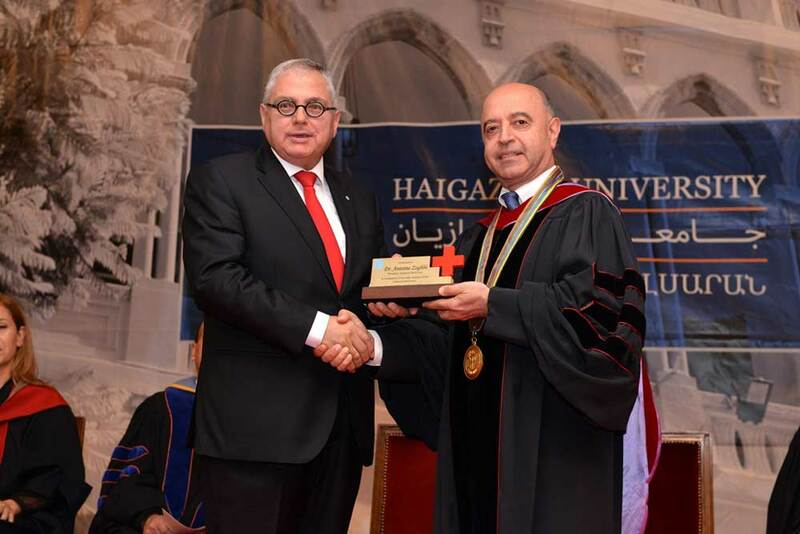 This annual ceremony took place on Monday the 15th of October 2018, having as guest speaker, the President of the Lebanese Red Cross, Dr. Antoine Zoghbi. The celebration focused on the noble value of “service”, and witnessed the inauguration of the renovated Stephen Y. Philibosian Student Center. With a sense of fulfillment, Haidostian declared that “one-third of our students are in service types of majors, whether Social Work, Special Education, Counseling or other”. Being a “University with a heart”, Haidostian gave the vivid example of the “Desert Streams Students’ Club”, inviting the audience for a round of applause in appreciation of the club’s unwavering services and humanitarian projects throughout the years. In his keynote address, Dr. Zoghbi praised Haigazian’s role and academic programs that always aim at promoting and enhancing the culture of “unity, openness, citizenship, mutual respect, integrity and morality”. Zoghbi moved on to present the universal values of the Red Cross organization, emphasizing on the fact that this value system is shared and adopted by Haigazian University as well. “Our openness towards all components of our nation, our spirit of tolerance and voluntarism, in addition to our indiscriminative approach transcending all political disputes and divisions, have enhanced peoples’ trust in our organization and have helped with our expansion and prevalence over the whole country”, said Zoghbi. The ceremony started with a prayer of invocation offered by the Campus Minister, Rev. Wilbert Van Saane, and was musically entertained by students Vahan Saghdejian on the piano, and Nare Ashkarian on the violin, graciously playing “Felitsa” by Yanni. The event concluded with the unveiling of the plaque of the recently renovated Stephen Y. Philibosian Student Center, especially its new cafeteria. It is worth mentioning that this center, called in the 1930’s and 40’s the Webb House, was the first building acquired by Haigazian University at its foundation in 1955. It was where American congregational missionary, Elizabeth Webb, had housed and educated needy Armenian girls. The renovation of the building was completed through the generous contributions of the Turpanjian Family Educational Foundation, the Sirpuhie and John Conte Foundation, David and Christina Segel, and the Obegi-Gurenli family. A reception awaited the audience in the main courtyard, with the Music Club students’ band playing the all-time-favorites of the late French-Armenian singer, songwriter and composer, Charles Aznavour.